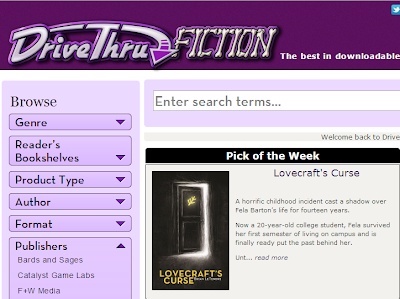 LOVECRAFT'S CURSE is the 'Pick of the Week' on Drive Thru Fiction! 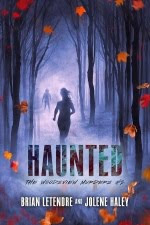 What's cooler than having your horror novel featured during Halloween week? You picking up a copy, that's what! Head over to Drive Thru and grab the digital copy for $3.99, the print edition for $9.99, or both for only $10.99! Thanks again to the crew at Drive Thru for promoting the book! What do I write next? 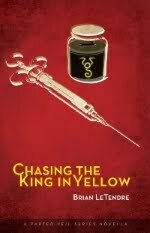 Courting the King in Yellow was my first book, and my first real attempt at taking my prose writing seriously (I was already working on some comic projects). Before that book even saw the light of day, I had taken the idea for Lovecraft’s Curse from a comic pitch to a prose project. Between those two books, my short stories (which I had written pitches for long ago) and the podcast book (Making Ear Candy), I’ve had a pretty clear idea of what I would be working on for the past few years. 1. Write a direct sequel to Lovecraft’s Curse (this is definitely happening, but doesn't necessarily have to be my next project). 2. Write a direct sequel to Courting the King in Yellow (this was never a guarantee, but I already have an idea of what I would do for the next story). 3. 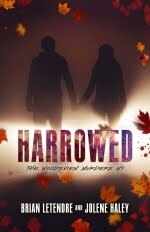 Write a new standalone novel set in the Parted Veil universe. 4. Write another short story similar to private showing, that either continues Nita’s story or provides more insight into one of the characters from the first two novels. This is a good problem to have. I’ve now created enough of a foundation with the first two novels and the short story that I have options. And while I’d love to make a quick decision and use NaNoWriMo as a means to crank out a first draft, I’m not sure I want to rush the decision (we are only three days from NaNoWriMo). So, as I celebrate the release of Lovecraft’s Curse, I am letting the ideas for my next project marinate. I’d love to hear from readers if they have a preference, as I will eventually be writing all four of the projects outlined above, it’s just the order that’s up in the air. LOVECRAFT'S CURSE is Now Available at Amazon and Drive Thru! 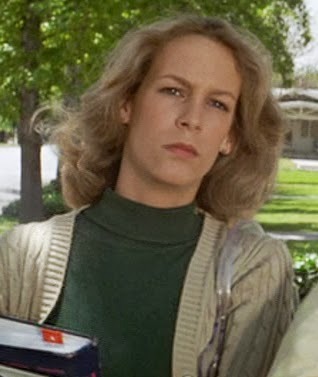 The other night I was double-checking the formatting on digital editions of Lovecraft’s Curse while watching Halloween and Halloween 2 on AMC FearFest. Man, those movies are great. Anyway, it got me to thinking about the upcoming launch of my own book, how my favorite horror properties have influenced me, and why I like to write horror stories. First off, I was struck at how the character of Laurie Strode (Jamie Lee Curtis) shares some qualities with Fela Barton, the main character in Lovecraft’s Curse. Both are survivors of childhood tragedies, and both are academically gifted young women who are introverts. 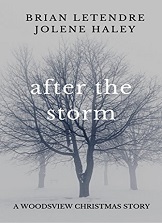 Granted, Fela was a bit older and a direct witness to the tragedy that befell her family, but both characters are survivors that are trying to lead normal lives when evil comes calling for them again. Of course, those qualities could be lumped into the Final Girl trope that is present in many horror stories. For me though, there’s another reason Fela has those qualities--because I do. Growing up, I was an academically gifted child who was an introvert as well. As a young child, I was bullied, had only a few close friends, and had some significant events occur in my home life that profoundly affected me. Books were always an escape for me, and I fell in love with the fantasy and horror genres. I preferred books and worlds that I could escape into, and fantasy provides plenty of that. But I gravitated toward horror because I could relate to the main characters more. My writing is as heavily influenced by horror movies as it is by horror stories and novels. John Carpenter, Stuart Gordon, Sam Raimi and Wes Craven are as influential to me as H.P. Lovecraft, Clive Barker, Dean Koontz and Stephen King. I like my stories to feel like a good horror movie for the reader--a thrill ride that is only as long as it needs to be, and leaves you feeling exhilarated and wanting more. 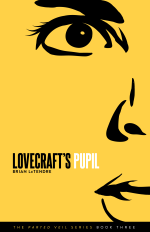 In reflecting back on Lovecraft’s Curse, there are nods to many of Lovecraft’s Dreamlands stories, Godzilla movies, Halloween, a particular Friday the 13th movie, Nightmare on Elm Street and many more. 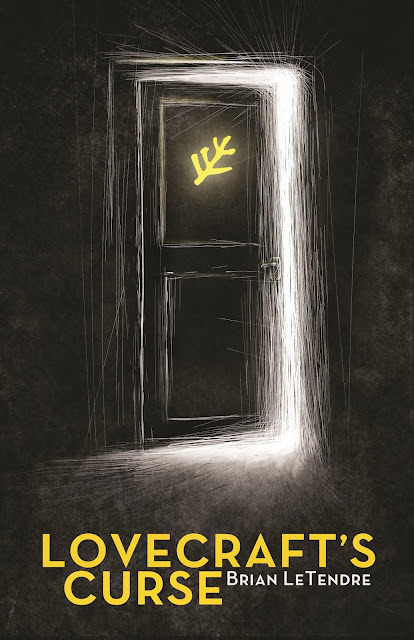 I am very excited (and nervous) to share Lovecraft’s Curse with readers, and I hope it provides horror fans with the type of experience that made me fall in love with the genre and want to create stories of my own. Behold, the Trailer for LOVECRAFT'S CURSE! Only two more days before Lovecraft's Curse is released into the wild! Check out the trailer I put together using Animoto. I created the music clip with GarageBand for iPad, and as usual tried to capture a John Carpenter-esque feel. In the twelfth episode of See Brian Write speculative fiction writer S.Evan Townsend joins me to talk about the Adept series. I also discuss my upcoming book release and recommend Running Home by Julie Hutchings. Lovecraft’s Curse will be available October 25th on Amazon and Drive Thru Fiction! 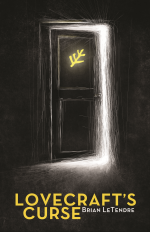 COURTING THE KING IN YELLOW is Now Just $0.99! 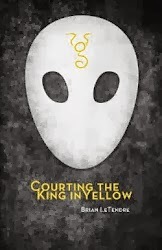 To celebrate the upcoming release of Lovecraft's Curse, I've dropped the price of my debut horror novel Courting the King in Yellow to $0.99! At Amazon you can grab the Kindle version, and Drive Thru Fiction has three digital versions, so you can read on whatever platform you want! 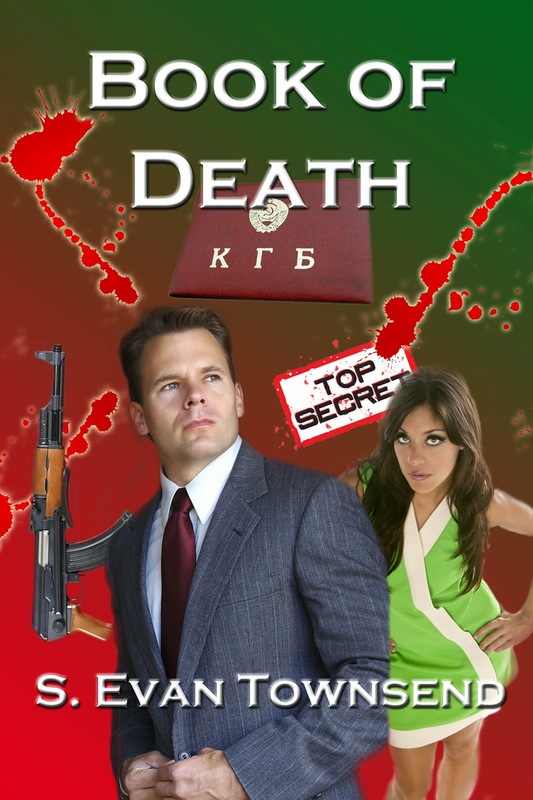 If you're interested in the print version of CtKiY, you can grab that over at Drive Thru Fiction for $9.99, as well as get the digital versions for a mere $0.49 more! PRIVATE SHOWING is Free on Kindle! 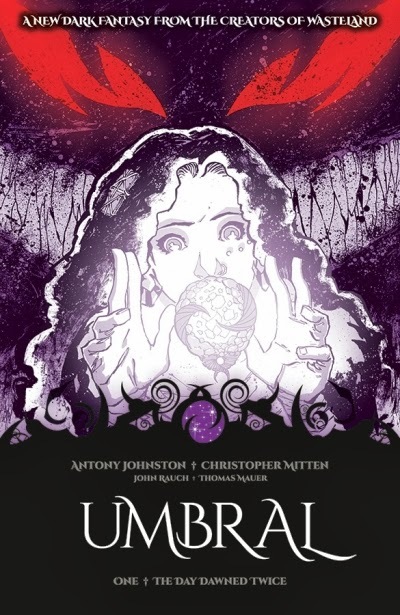 As I count down the days until the October 25th release date of Lovecraft's Curse, I will be discounting the other two Parted Veil stories, starting today with Private Showing. 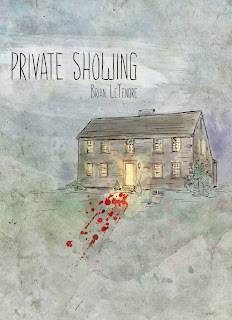 As of this morning, Private Showing is now free on the Amazon Kindle store. LOVECRAFT'S CURSE Is Coming October 25th! My next horror novel Lovecraft’s Curse will be released on Friday, October 25th on the Amazon Kindle store and Drive Thru Fiction for $3.99! For those who want a hard copy, the print version of Lovecraft’s Curse will be available on Drive Thru in shortly after the digital launch for $9.99. You’ll also be able to get a digital and print bundle for $11.99. Like Courting the King in Yellow and Private Showing, Lovecraft’s Curse is set in the world of the Parted Veil, a version of our world where monsters, magic and unseen horrors exist just outside the consciousness of the average person. Each of these stories stand alone, but exist together, and you can read and enjoy them either way. Lovecraft’s Curse is the beginning of a new series set in the world of the Parted Veil, and I will continue to release other short stories and novels set in the world as well. During the launch of Lovecraft’s Curse, Courting the King in Yellow will be available for $0.99, and Private Showing will be FREE! That means you can grab all of the Parted Veil stories for five bucks! Stay tuned for more Lovecraft’s Curse news and previews, and mark your calendar for October 25th! Read My Dark Carnival Story EXPOSURE Right Now! The second round of horror stories went up on the Dark Carnival page the other day, and mine was among them! For those that missed my earlier post, Dark Carnival is a month-long short horror fiction event being held over on the Pen & Muse blog. All of the participants chose a carnival attraction and wrote a horror story about it. My story was about the old time photo booth, and without spoiling it, I think it's safe to say that the poor characters in my story get more than they bargained for when they decide to dress up and get their pictures taken. You can click here to read the story right now, and then you can find the rest of the Dark Carnival stories that have gone up so far right here. Behold, the Cover for LOVECRAFT'S CURSE! I am very excited to reveal the cover of my next book, Lovecraft's Curse! My good friend and frequent collaborator Jeff Rodgers put the cover together, as he has for all of my books/stories so far. 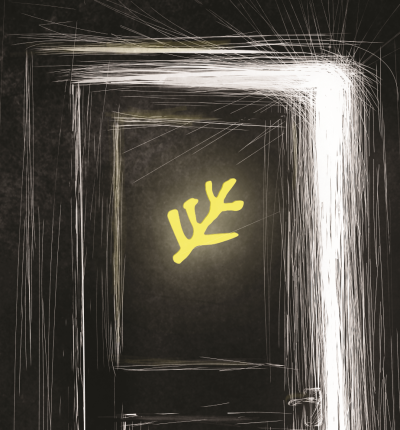 This time around, we wanted to have some consistency with Courting the King in Yellow, as the books are part of the same shared universe. Stay tuned for a release date soon! Jolene Haley of the wonderful writers' site Pen & Muse has put together one heck of an awesome horror event to celebrate the month of October. It's called Dark Carnival, and it's a showcase of short horror stories featuring dozens of writers and artists, each of whom will be crafting their horror short around a carnival ride or attraction. As a die hard horror fan, I could not sign up for this event fast enough. 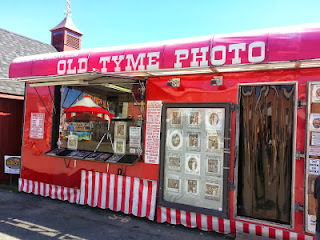 I based my short story around the "Old Tyme Photo Booth," as i have fond memories of both the one at the Big E (seen below) and the one at Hampton Beach in New Hampshire. I actually had a couple of ideas I was kicking around, but one of them proved to be too elaborate to be crammed into a short story (this particular project is between 1,000 and 4,000 words). I knew I wanted to play with the idea of something from the past coming back to haunt the present. I won't spoil what I ended up writing about, but after my story goes up I'll blog a bit about it. So, Dark Carnival officially starts tomorrow, and you can read the stories as they get posted at the landing page for the project (or by clicking the banner at the top of this post). I'm not sure exactly when mine is going up, but the event will be going on for the month of October, and new content will get posted every Friday. If you're a horror fan, then you're in for a treat, as you'll get to read dozens of horror stories for free. What a great way to celebrate the month of horror! 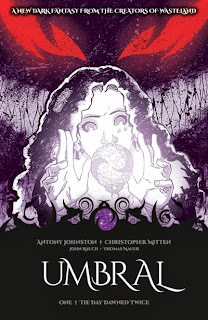 In the eleventh episode of See Brian Write writer Antony Johnston joins me to talk about his new dark fantasy project Umbral, writing for different mediums and the concept of the Zero Draft. This episode's book recommendation is Grace Lost by M. Lauryl Lewis. OcTrailerFest 2013 Kicks Off Today! I love horror. Love it. And that means October is my favorite month of the year, by far. I released my first horror novel Courting the King in Yellow in October of last year. If all goes well, my new book Lovecraft’s Curse will be out just in time for this Halloween, which makes me almost giddy. I’m always looking for ways to celebrate this month of horror, and I kicked off a fun one today. It's called OcTrailerFest 2013. Each day on my Twitter feed I will be posting a trailer from one of my favorite horror movies. There will be plenty of classics to be sure, but I’m also going to be posting some of the more obscure b-movies that I grew up watching and loving. 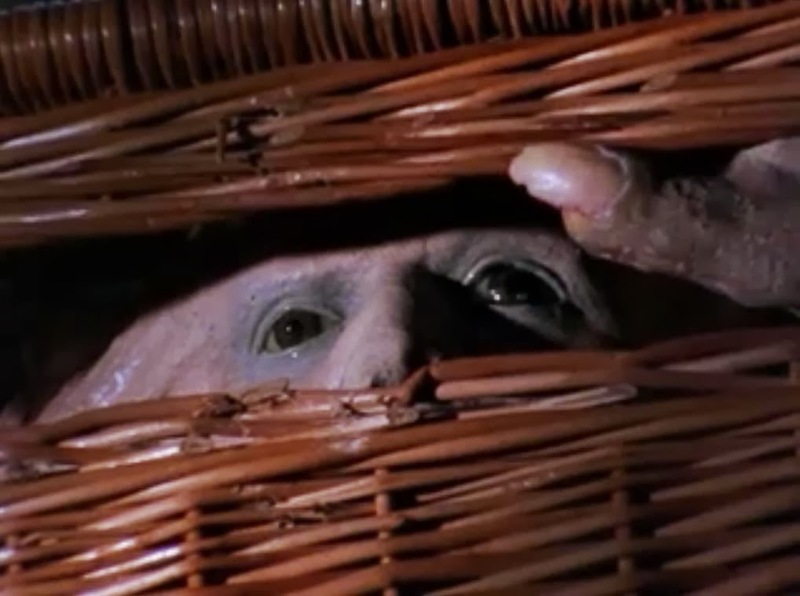 I kicked things off with the trailer for the 1982 classic Basket Case. You can check it out in the player below. Some of the trailers I will be posting about here as well, especially when it’s one of my absolute favorites. So, check my Twitter feed for your daily dose of horror. I’m also using the hashtag #OcTrailerFest2013.